Sophie Winston and her BFF, Nina Reid Norwood, share a sweet spot for animals. So Sophie is delighted to help when Nina cooks up Cupcakes and Pupcakes, a fundraising event for animal shelters. All the local bakeries will be selling treats, with the profits going to pups and kitties in need. 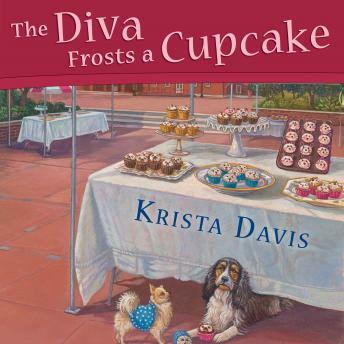 But Old Town is in for a whole batch of trouble when a cupcake war erupts between two bakeries . . .
Tongues wag and tempers rise when a partner leaves Sugar Baby Bakery and unveils her competing cupcakery, Sugar Mama, precisely as the fundraiser gets under way. Just as it seems nothing else can go wrong, Sugar Baby's sole remaining employee is found dead. Suspicion falls on the feuding owners, but the scrumptious new guy in town is also raising some eyebrows. Now Sophie and Nina have to sift through the clues and discover who isn't as sweet as they seem.